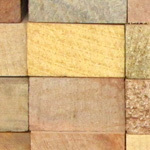 We’ve got timber for building, timber for decking, and much much more. From dark red Merbau to yellow Balu, beautiful Australian hardwoods and good old treated pine, the deck will be stacked in your favour with our range of outdoor timbers. We’ve got all the timber you need for framing, battens, joists and trusses in our structural range, and in our finishing timber range we have skirtings and architraves in many different woods, many different profiles and for many different applications.